Dr. Kimberley Amirault-Ryan lives by her philosophy of embracing challenges and pushing boundaries to achieve your highest potential. She was the first female Performance Consultant for the New York Rangers, the New York Knicks, the Columbus Blue Jackets, and the Edmonton Oilers. Her passion for motivating audiences to reach their fullest potential has received praise from international corporations and sports organizations alike, including Visa, Johnson and Johnson, the NHL, and the NBA. She has worked at five Olympic Games with the gold medal winning teams of the Women’s Hockey Team, Cross Country Ski Team, and Speedskating Team. 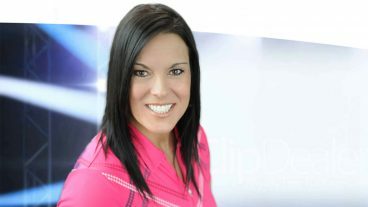 The Canadian Olympic Committee appointed her as the lead of sport psychology for the entire Olympic team for the 2010 Vancouver, 2012 London, and 2014 Sochi Olympics. For her ground-breaking work, Dr. Amirault-Ryan has received awards such as the Globe and Mail’s Top Power 50 List, WXN Canada’s Top 100 Most Powerful Women, and Avenue magazine’s Top 40 Under 40. Companies worldwide, including Fortune 500 companies Johnson & Johnson, VISA, General Mills, and Royal Dutch Shell, have hired her to motivate them to achieve sustained high performance. The event was great! Everyone absolutely loved Dr. Kim, she was sensational and very motivating. I am fortunate to have had the chance to work with her. I can tell you this. Kimberley is genuine and very authentic! People connected with her because she is natural and easy to relate to. I really liked her as she is not pretentious or demanding. With all of her success, she remains humble. There are lots of speakers to choose from, but those with too many demands have actually lost the very element of serving others. I would easily recommend Kimberley to any organization that is looking to grow and develop. Even though, Kimberley had to catch a flight she took the time to speak with the audience. We would have had a massive line-up if she had the time to stay. Kimberley was quoted throughout the rest of the day by the other speakers. NY Rangers senior management and coaching staff were very pleased with the work Kimberley did for our team. Kimberley did an exemplary job for us and had a dramatic effect on our players. Her keen ability to step back, analyze and synthesize issues is extraordinary. Her advice is clear and concise – and most importantly – ready to be acted upon. W. Brett Wilson, Dragons' Den & FirstEnergy Capital Corp.
Dr. Kimberley has an innate ability to read a person’s will and determination and she is able to bring that to the surface for them to act on. She’s been a source of strength in helping us develop the leadership skills that are required and in turn has been instrumental in reinforcing the team focus and direction. She has the power to inspire. At the highest level of competition, it is easy to lose yourself in the enormity of the event. Pressure, distraction and nerves can paralyze a person. Dr. Kimberley Amirault has been my constant source of guidance and has influenced me greatly in overcoming these obstacles. She has reminded me to ‘bring myself to the line’ at World Cups, the World Championships and ultimately, the Olympic Games. With her help, I’ve earned gold in each of these events. The most valuable part of this influence has been helping me become distinctly aware of who I am, what my strengths are, and channelling this belief into performance. Dr. Kimberley has a great understanding with our team in getting each player to find his value and use it on an everyday basis. Getting each player to focus on performance and consistency really helped in our dramatic improvement this past season.